Every year, just before summer arrives, I eagerly anticipate their arrival. They’re here, they’re juicy and they’re ripe, and they’re irresistable. Yep, they’re cherries! I’m happy to eat them on their own, but they’re even better when tucked into pies and turnovers. In an attempt to create a fun, handheld dessert for 4th of July, I decided to do something a little different with them: Cherry Pie Cups. 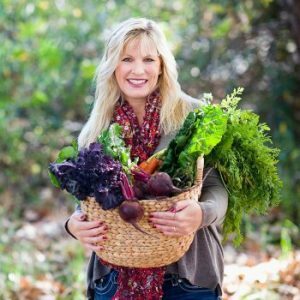 You’ll need a regular-sized muffin tin, a 5-inch wide plastic tupperware-type bowl, and a small, star-shaped cookie cutter. Roll out ready made pie crust until it’s a bit thinner. Use the plastic bowl as your “cutter” to cut out 5-inch rounds. 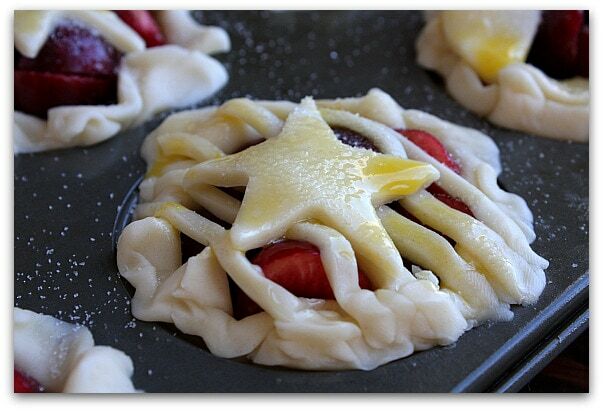 You should be able to cut out 8 rounds from a package of pie crust (re-roll scraps, if needed). Spray your muffin tin with nonstick spray. Line 8 muffin cups with the rounds, pressing in lightly. Scoop in the cherry filling. 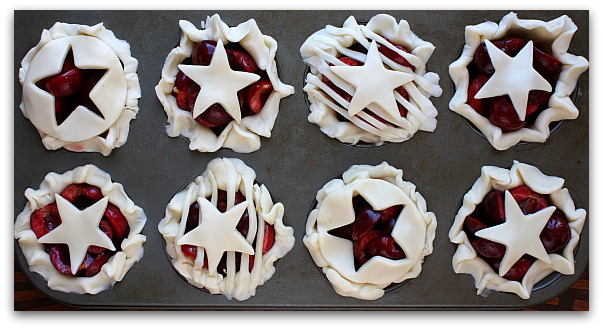 With leftover pie crust scraps, cut out decor for the tops of the pie cups- stars, stripes, whatever you’d like… be creative! Then crimp the edges of the pie cups. Brush them lightly with egg wash, and sprinkle with sugar- the chunky, sparkly kind of sugar if you have it (I didn’t have it). Bake! Take them out of the oven and let them cool a bit. You should be able to slip them out of the tin pretty easily… so after a while you can remove them to a wire rack if you’d like. Will these freeze and for how long? They look so delicious, but there are only two of us and we are small eaters. I didn’t freeze them, so I’m not certain how well they’d fare. What a great idea! And I love the look of the blueberries in the whipped cream. Perfect for the Fourth. Can these keep overnight? As in if I made them the evening before, will they be ok for the following evening? 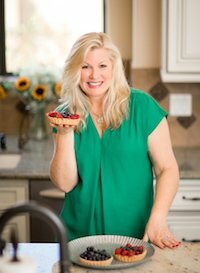 @Andrea, yes, keep them in a covered tupperware container and they should be just fine…just like regular pie! These are super cute and festive! Fabulous. Those look delicious and so festive!!! 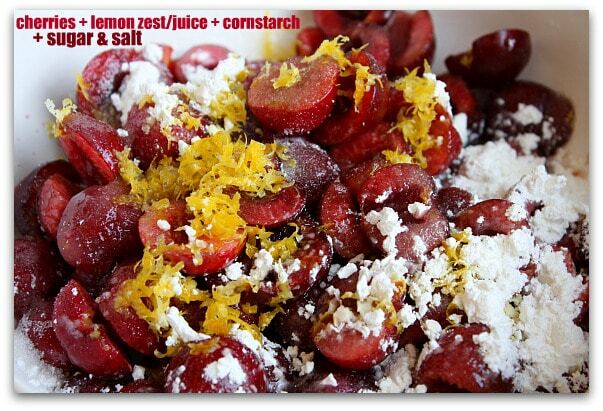 Looks terrific and I bet you could use any berry! Those look awesome, Lori. We love cherry pie. Love the festive stars! Those are fantastic!! So sweet and festive. And I love ANYTHING with cherries. Delish! 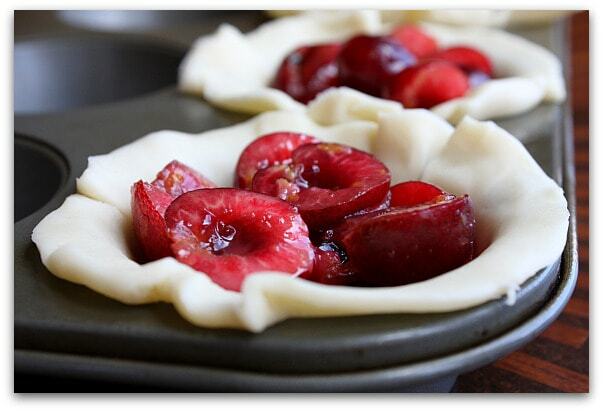 There is nothing like fresh cherries with a good pastry crust. 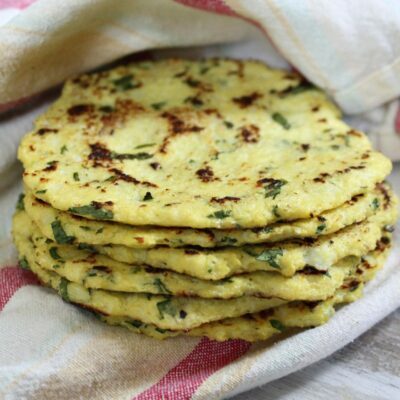 Wish I had one or even two of these for breakfast! Yum. I just made something similar a month ago. Mine were assorted flavors – apple, blackberry & peach. Big hit. Really fun to make. Those are cute! My dad is going to be picking cherries tonight here in Michigan. Cherry Festival starts this weekend! This is the perfect red/white/blue dessert to celebrate July 4th. Have an excellent long weekend! 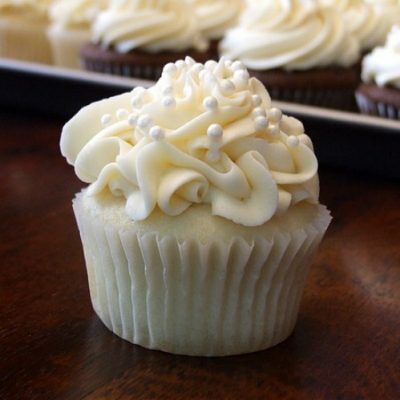 oh WOW… those look wonderful! 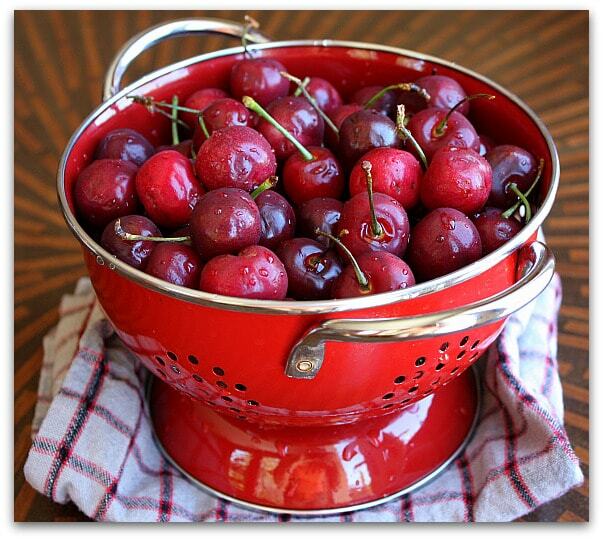 I’m the only fan of cherries here so think I might add another fruit instead but will have to try these little babies soon – yours look wonderful!! 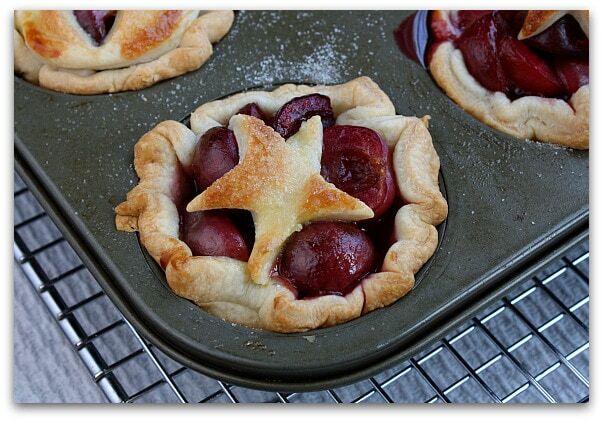 These are adorable little pies, and we’ve been buying cherries from a roadside stand that would be perfect for this. Glad you shared them! Don’t forget about Canada Day!! The U.S. isn’t the only country celebrating a major holiday :). 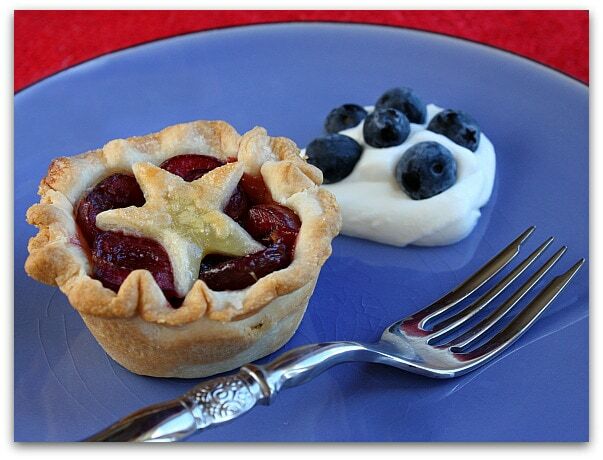 These little pie cups look great for any occasion. Lovely work!